In line with Sharjah’s development and strategic objectives to enhance economic diversification, the Sharjah FDI Office (Invest in Sharjah) concluded its participation in three leading global investment events which were held in Xiamen and Shanghai, China. The three exhibitions set the stage for discussions on common investment and business interests between both parties and presented “Invest in Sharjah” the opportunity to showcase the emirate’s most recent economic developments to more than 1,000 international experts, economists, and specialists from various industrial and technological sectors. The delegation from “Invest in Sharjah” comprised Mohamed Juma Al Musharrakh, CEO of Invest in Sharjah and Marwan Saleh Alichla, Investment Promotions Manager at Invest in Sharjah. The first event was the 23rd edition of “The World Association of Investment Promotion Agencies”, WAIPA, which was held recently in Xiamen, one of the cities in China with the biggest economy. 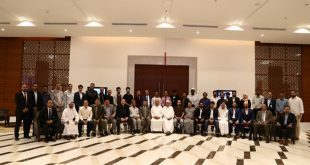 The theme was, “A new era in Foreign Direct Investment,” which synchronously aligns with the strategic plan of “Invest in Sharjah” to attract capital investment and strengthen trade with China. The aim was to promote a knowledge-based economy where both parties collaborate in various sectors including trading, environment, logistics, health, technology, alternative energy sources, and numerous diversified sectors. During the visit, the delegation highlighted the strong trade ties between Sharjah and China and underscored the several successful projects that were implemented by both, the government and private sector, and how these projects directly facilitated numerous Chinese investments into the region. 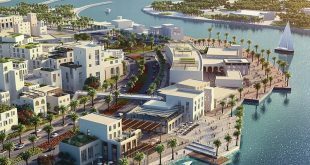 Moreover, “Invest in Sharjah” used the opportunity to present the existing economic factors, which have contributed the most to Sharjah’s FDI growth, which witnessed an increase of 102 percent to AED5.97 billion at the end of last year, in comparison to the figures of 2016. 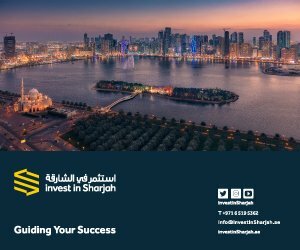 “Invest in Sharjah” also showcased the latest developments in the emirate’s economic infrastructure, which includes new investment facilities and specialised free zones that caters to the specific needs of Chinese investors and business owners, and how the emirate’s leading business-friendly and digitally integrated environment supported the emirate’s recent positive credit ratings and low-risk exposure from which an anticipated growth of two percent can occur by 2021. Coinciding with the 23rd edition of WAIPA in Xiamen, “Invest in Sharjah” also participated in the China International Fair for Investment and Trade, CIFIT, through a panel discussion by Alichla. 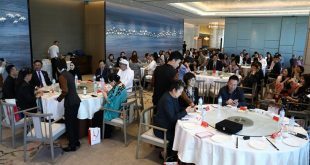 The attendees were presented with the latest economic and investment opportunities which Sharjah had developed, in a bid to further address the demands of the future for global investors in general, and for Chinese investors in specific terms. The third event, The China Outbound Investment Summit, took place on 12th and 13th September, 2018, in Shanghai. In a dialogue session which was titled, “Guiding your success,” Al Musharrkh led the discussion on using positive investment results to ensure sustainable, effective, and long-term investment. The discussion evoked key insights on the current economic and bilateral growth between Sharjah and China. Al Musharrkh also highlighted the efforts by “Invest in Sharjah” to activate vital sectors to drive economic diversification and consolidate the economic relationship between Sharjah and China. “In promoting innovative sectors, we understand the requirements of the fourth industrial revolution and its associated industries such as artificial intelligence, robotics and modern technologies. 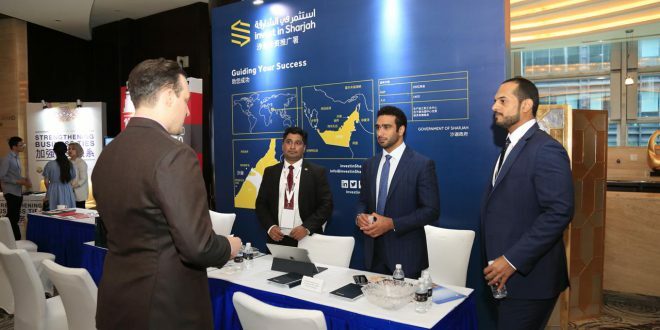 Our participation and return to both events for the second year is aimed at approaching new Chinese investors and facilitating their latest technologies across numerous sectors to cement Sharjah as a leading hub for smart technologies regionally and globally,” he added.